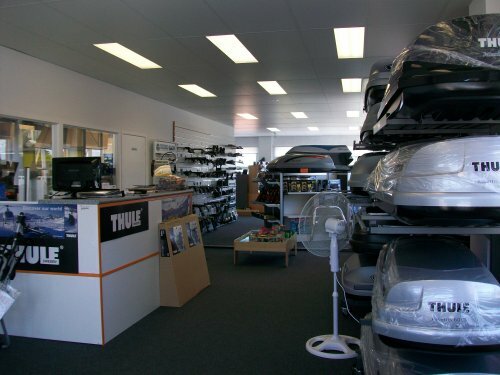 Tow Bars and Roof Racks in Sydney: Come see our new shop! We are now in our new shop. 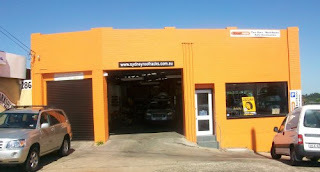 After 5 years in in our little old shop in Gladesville we are now in and established in the new shop. We still have stuff to do, the frontage is still missing signage and the show room and workshop will be constantly evolving but we're in and trading. 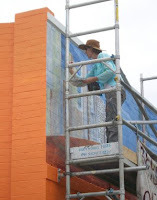 We commisioned the lovely Rebecca from Becsmart murals to paint the side of the building and she spent a week perched on scaffold to produce a great outback scene for us. Thanks to Mick and his team from Sydney Shopfitters who fiited out the show room to a high standard with no fuss. 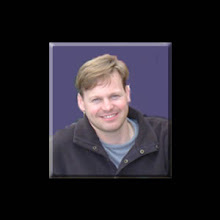 And also thanks to the other Mick from Micks Pressure Cleaning for getting rid of over 30 years of grime. Finally thanks to the boys who work for Shop1auto for doing their part and not forgetting my Dad who came out of retirement to take up the paint brushes and for accepting payment in KFCs and Subway sandwiches. 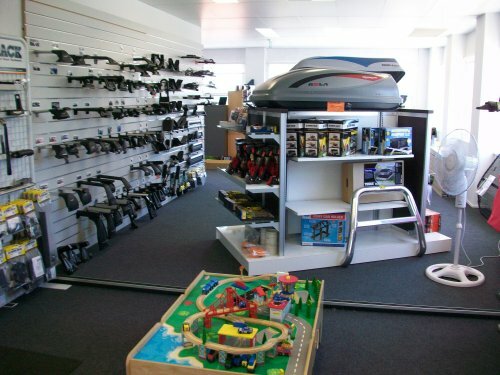 So we are in and with the extra space we have taken on more stock. I believe we now carry one of the most extensive ranges of roof rack products in Australia. We now stock over 400 fitting kits so if we do not have a roof rack in stock for your vehicle their will not be many shops that do.